​As you browse this website you’ll find useful information about the Christchurch apartment market. My website will inform anyone interested in apartments with valuable market information rather than sales hype. Success with apartments is about having the knowledge to make the best decisions. You will find information about; apartment buildings and their unique features, Body Corporate rules and reports, disclosure statements, staging apartments, the photo shoots and so on. What can I do for ​​you? 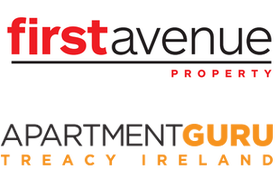 ​Buying an apartment requires specialist knowledge and expertise, as apartments are covered by the Unit Titles Act 2010. I can help by giving you astute advice about purchasing your apartment or multi dwelling property in Christchurch. It's important because very few people have ever bought an apartment before. I can undertake a Market Appraisal of your apartment to establish its value. In a perfect world my principal Melissa Benge and I would visit your apartment before appraising it, we are experts at gaining the confidence of the tenants. However occasionally it is possible to appraise your apartment without disturbing your tenants. If you are not ready to sell, a complimentary “Apartment Guru Market Report” of recent sales in and around your building or complex can be provided. Go to the Contact page and email me, or call or text whichever suits you. If you are currently renting your apartment, looking to have your apartment professionally managed or reviewing your existing arrangement, I can help. I understand you want quality tenants, the best rent plus personal service and peace of mind. I work closely with a Property Manager who specialises in apartments and we can take the hassle and pressure out of renting your apartment. Back in the mid 2000’s, I began selling apartments with the Apartment Specialist at Tommy’s Real Estate in Wellington, Melissa Benge. While selling apartments we learnt all about the apartment market, from buildings information to what to look for in Body Corporate information, which we put to good use getting the best results for our buyers and sellers. When Melissa moved to Christchurch and purchased First Avenue Property, I continued working with apartments as an Apartments Property Manager. This experience educated me about what owners and tenants really need when renting an apartment. I am again working for Melissa at First Avenue Property and we think that Christchurch is poised to develop a remarkable and vibrant apartment lifestyle in the central city. Even if it takes longer than originally planned - Christchurch will get there. If you’d like to stay in touch and receive my best material, please feel free to join all the other people of impeccable taste and subscribe to my Guru News.